Cheryl and Andrew were married on Saturday at Swinton Church before celebrating at Burntwood Court Hotel near Hemsworth. Cheryl arrived at Swinton Church by horse and carriage, a surprise form her parents. Thankfully for the horses the return journey was part carriage and part car. The fifteen or so miles to Burntwood Court would have seen Andrew and Cheryl arrive just in time for their first dance! Following the wedding breakfast the guests realxed for an hour or so before the evening celebrations began complete with entertainment from local band Emaculate. The following clip features a number of the images used on the day on the big screen. 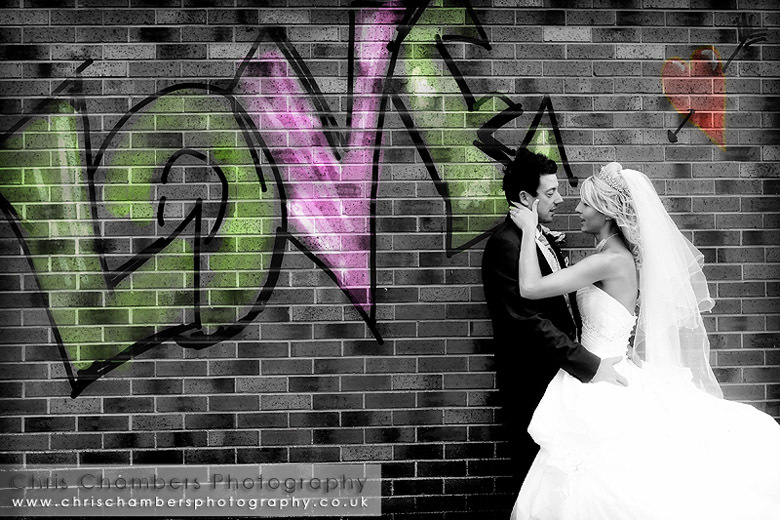 Burntwood Court wedding photography. Burntwood Court and the Qube venues are located near Brierly in South Yorkshire.